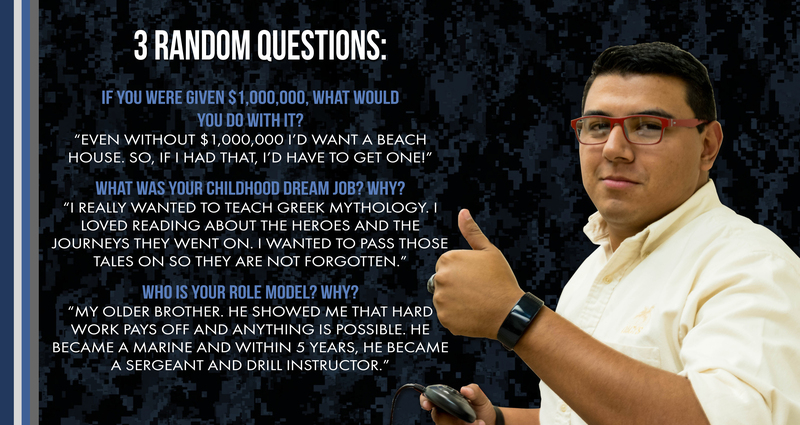 Employee Spotlight Series – Meet Sergio! Sergio is approaching his 4-year anniversary working here at OACYS and has been a big asset to our Field Service Division since day one. He quickly progressed through the training phase and soon took lead on one of our field crew teams. As we began expanding that department, Sergio was tasked with training new employees and helped show them the ropes. He eventually moved from the field crew into a coordinating position where he now works directly under our Field Operations Manager. In this role, he helps keep a pulse on the health of our wireless network and pinpoints customers connections that need a service call to ensure the quality and reliability of our wireless network. 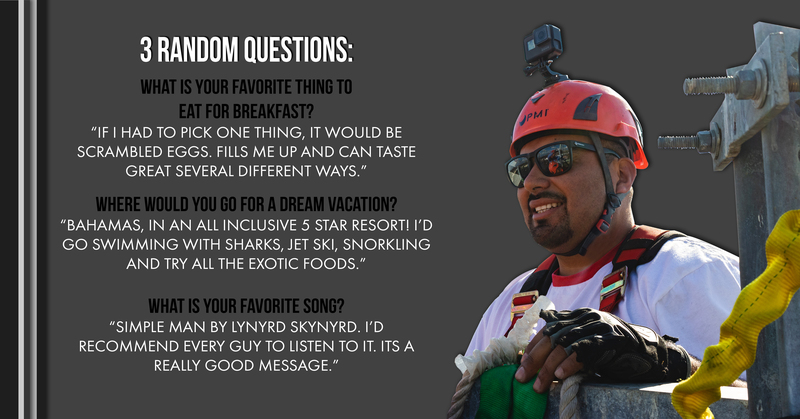 Sergio has also become one of our primary tower climbers and spends a lot of his time adding and maintaining wireless equipment at our tower sites. Spending time with his wife and two daughters is Sergio’s main focus when he’s off work. They enjoy spending time together outdoors, whether that is camping or over at the coast. One of their other favorite places to go together is Six Flags Magic Mountain and Hurricane Harbor. Typical for a tower climber, his favorite rides are the highest roller coasters. For a little more relaxing experience, Sergio enjoys spending time playing games at home with his family and friends. 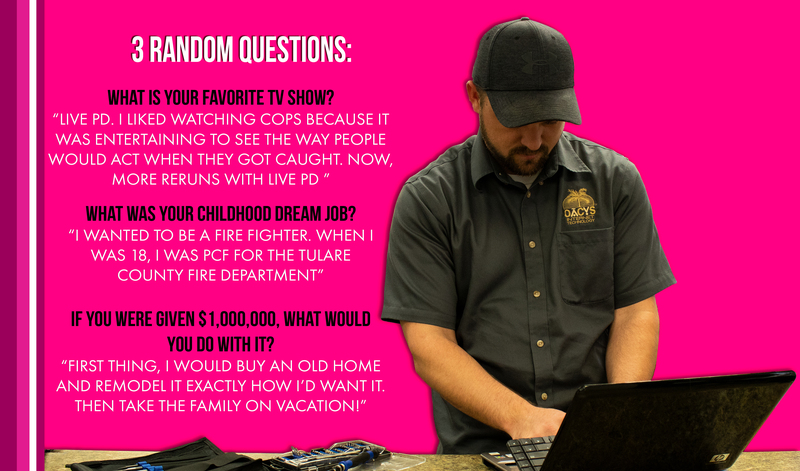 Employee Spotlight Series – Meet Jon! In October of 2016, we brought Jon onboard to join our IT Consulting team. He brought with him experience in networking, cabling and an appetite to learn. It didn’t take long to see he also had a great work ethic. He quickly became someone we could rely on to get work done. He has taken on roles in several different types of projects, ranging from rewiring networking closets, setting up internal wireless networks to installing both residential and business phone service. He’s also become a certified tower climber and has been involved in some of our recent tower work. His skill in construction has been a great asset around the office which has made him one of our go-to-guys to take on miscellaneous projects here. With a great work ethic and the willingness to take on any role, we are excited to see him put that to use for all the future consulting projects that will come his way. 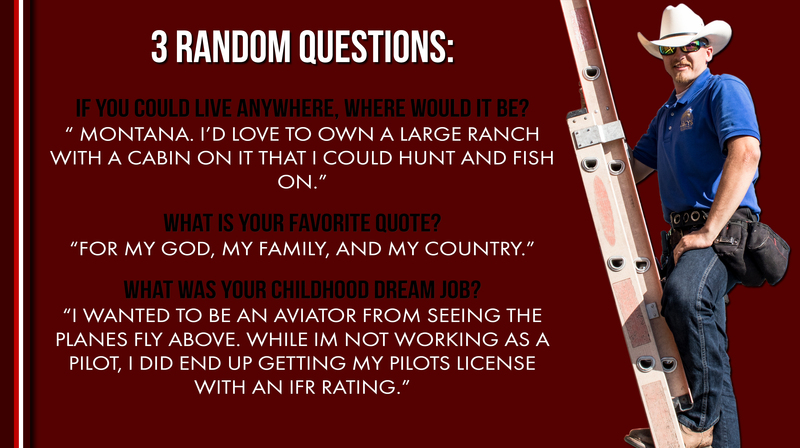 Staying true to the theme of fixing things at work, Jon also enjoys remodeling projects at home or for his family. His attention is also focused on spending time with his wife and four children, which range between the age of 13 and 6. They enjoy relaxing and watching movies together, as well as heading to the beach to spend time together. If any other spare time pops up, Jon just might be able to sneak off to the golf course to enjoy a round of golf. Employee Spotlight Series – Meet Diane! This month we are celebrating the 17-year anniversary for Diane joining our OACYS team! Diane has spent the past 17 years helping out in finance department overseeing payment entries, handling billing, invoicing and payroll. Throughout the years she’s been a reliable source of information for our customer service department to help answer any questions customers have about billing and account information. Diane has been an amazing employee for so long, we wouldn’t know what to do without her! She has a keen eye for making sure our books are balanced and has helped keep track of every penny earned and spent over all these years. It’s also no secret that she has good eye for picking the winning lottery scratchers as well! It goes without saying that words can’t express the gratitude we share for Diane for all the years of service and loyalty she has given to the company. 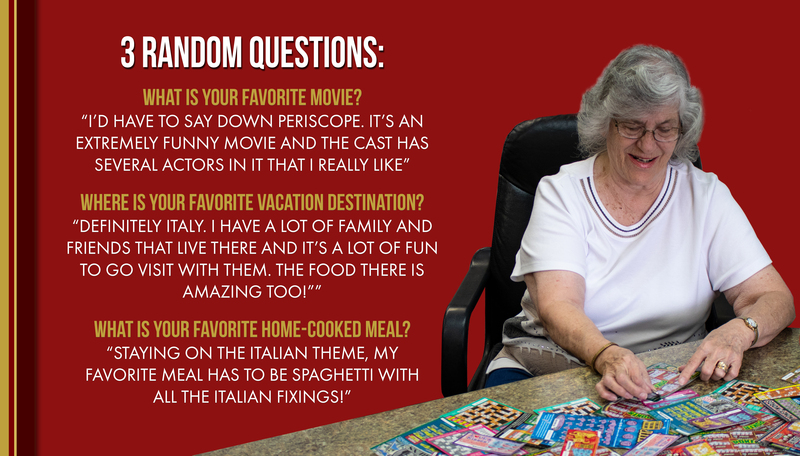 Diane’s biggest enjoyment outside of work is spending time with her family. She has four grand children that she is very close with and enjoys keeping up with their activities. Between school and sports events, she always has something planned throughout the week that keeps her on the go. When she does have free time or looking to get away, she enjoys taking road trips with the family to either the mountains or over to the coast. 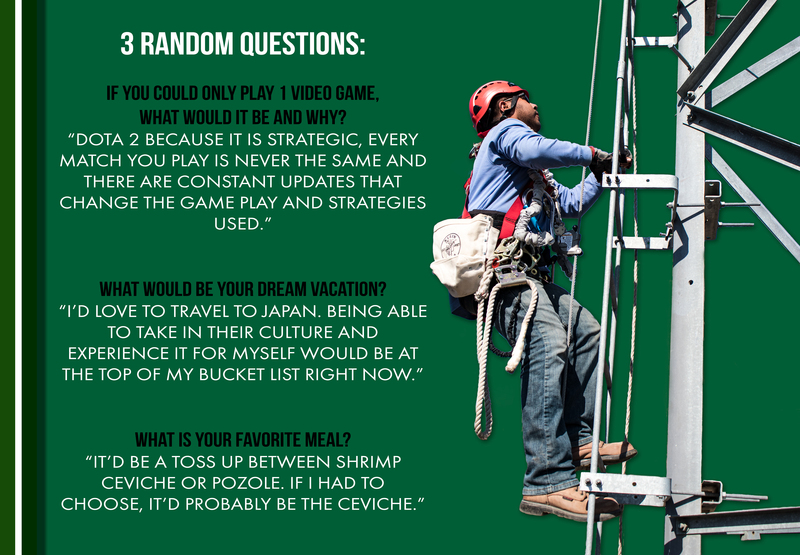 Employee Spotlight Series – Meet Jose! Jose has the been part of the family here since July of 2017 and has proven to be a quick learner. Fresh out of school, Jose quickly took what he learned in the classroom and under guidance from the rest of our consulting department, began applying that knowledge in the field. He continues to jump at the opportunity to get in on a project and help our customers at their homes or business. When Jose isn’t out in the field fixing routing issues, internal network problems and computer issues, he’s a big help to our customer service department. He helps take calls and works on more complex support calls dealing with a client’s router configuration or connectivity issues. Although Jose has only been with us for a short period of time, we are excited about his future here with us and look forward to seeing to him continue his steady growth as a consulting technician. Growing up, Jose and his family traveled a lot to visit relatives in Mexico. He enjoyed that time together and likes spending his time away from work by hanging out with friends and family. Whether it is around a bonfire, at the beach or playing board games, he considers it time well spent. Jose also loves playing volleyball and has a competitive spirit when it’s game time. When he’s looking for something a little less competitive he enjoys video games, collecting old comic books and creative writing. 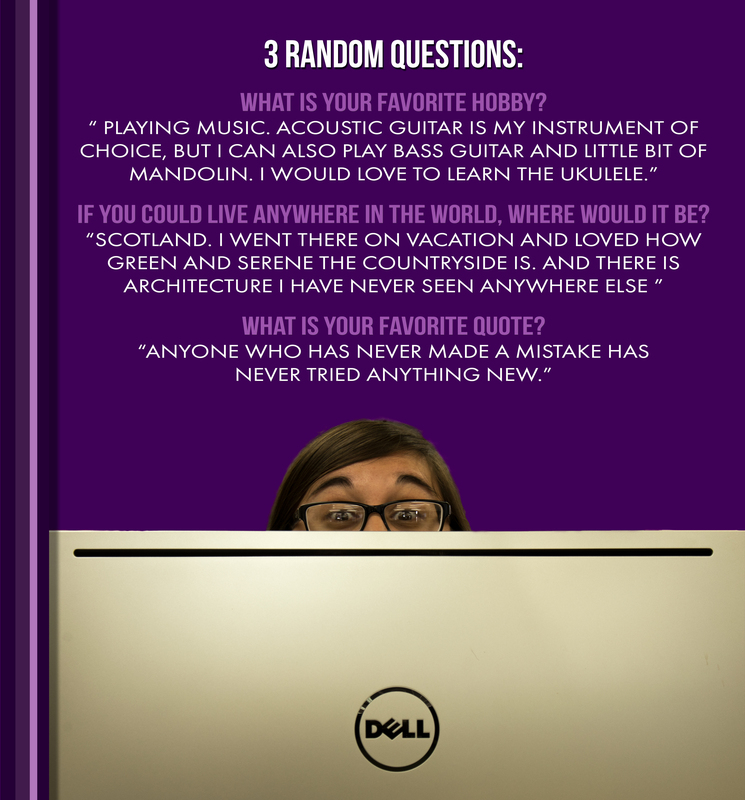 Employee Spotlight Series – Meet Melody! At the end of 2015, we were looking to expand our customer support team and were hoping to find someone that had a genuine interest in technology that could help troubleshoot and fix computer issues that customers may have. We brought Melody on board and she filled that need perfectly. Over the past couple of years, she has been the ultimate team player by helping out in both in our shop department as well as our customer support team. From answering phones, troubleshooting router issues, fixing computers and signing up new customers, Melody has done it all. She’s never been shy to help out where needed and continues to take the initiative to always push herself to learn and keep up with the latest advances in technology. As we continue to grow as a company, we know our current and future customers will be in good hands when Melody is helping out. Melody has now called Porterville home for the past few years after having lived in three different states in the past seven years. During her free time from work, a lot of her time is focused on her 9-year-old daughter. She also enjoys quiet time, getting lost in a good book or playing her favorite video games. Spending time playing music or practicing yoga has been her go to for unwinding after a long day at work. She also would like to get back into painting small figurines for tabletop games. Employee Spotlight Series – Meet Alexander! In July of 2016, Alexander joined our team as a Field Service Technician. Alexander had experience of working onsite at customers locations, networking and making sure customers felt like they were being taken care of. His outgoing, friendly personality has been a great addition to our team and helped him quickly fit in with our team and bond with customers. His love for cars made him jump at the opportunity to volunteer as our fleet manager to make sure all of our work vehicles are running smoothing and stay up to date with maintenance. Alexander’s work ethic and reliability has made him a great asset to our team as well as to our customers. We look forward to seeing him continue to climb the company ladder and have plans to add him to our tower crew in the very near future. Alexander moved to the United States from Russia in 1995 and grew up in the country on a small farm in Terra Bella, where he learned to work hard, appreciate nature and respect others. Perhaps one of the reason’s Alexander makes such a good field service technician is his genuine enjoyment for being outdoors. In his free time, Alexander spends as much time as he can enjoying nature with his family and friends by camping, hunting, fishing and hiking. 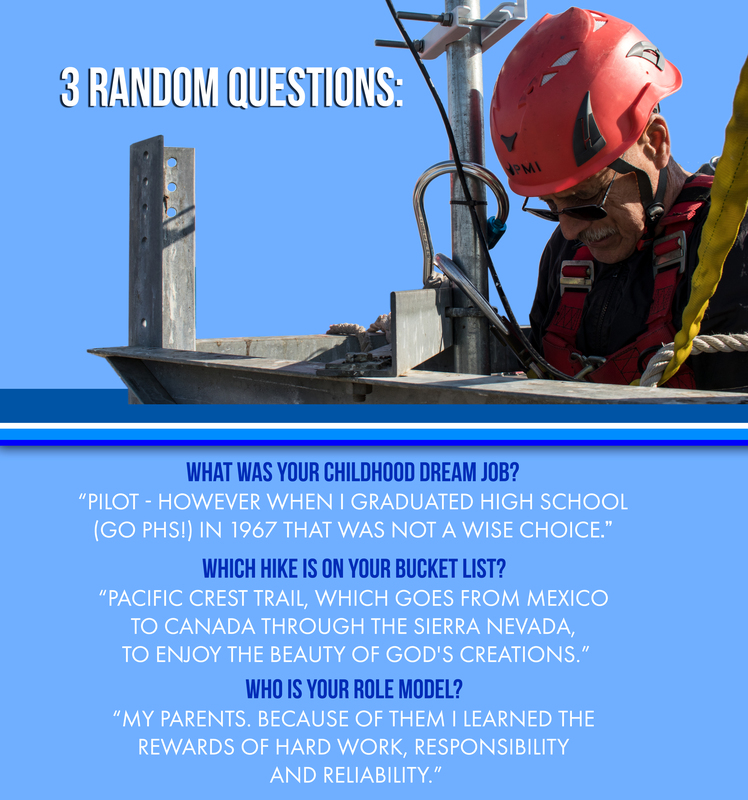 Employee Spotlight Series – Meet Dave! Dave has been with the company for over 28 years, longer than any other employee still on board. He has served in a wide variety of roles, from technician and manager in our repair shop, to IT engineer, and as our tower sites manager more recently. Dave currently manages our tower crew to maintain tower sites and also oversee construction for new sites as we grow. Dave has been a key employee throughout the years, pitching in everywhere help is needed, especially when challenges arise during those middle of the night hours! He can do any task from server diagnosis and radio troubleshooting to construction and tower climbing. As active as Dave is at work, he likes to stay active outside of work as well. While he does like to keep up with the latest technology that is coming out as a way to make his job and life easier, Dave likes to disconnect and enjoy nature as well. He loves to ride his motorcycle up into the mountains to look for new hiking spots to explore. When he’s at home, he can be found relaxing by playing games on the computer or tablet or in the kitchen cooking. Chances are, whether he is driving, cooking or playing games, the radio is on as he enjoys listening to a wide variety of music, from the classic music of the 50’s, 60’s and 70’s to the latest hits. Employee Spotlight Series – Meet Jody! Jody joined our team at the end of 2016, yet, he has quickly made himself into a veteran presence. The plan for Jody was to have him work in our computer repair department and help support our customer service department. Jody quickly excelled in that role and before long moved into our IT consulting department. There he began working with connecting our business clients to our Managed IT services, as well as customizing our Hosted Voice services for clients. Aside from providing support for both services, Jody has recently been assigned as our Consulting Coordinator where he handles the responsibility of making sure all customer requests are met and completed. Jody’s reliability and attitude to take on any task assigned to him has made him a great addition to our team and we look forward to continue to build our consulting department with his assistance. When Jody is away from his desk at work, he still likes to keep up with the latest trends in technology, both for personal and professional reasons. When he does take a break from the technology world, he and his fiancee like to have a night out and try new restaurants or spend some time traveling. His family enjoy an annual beach getaway during the summer. And as of last summer, Jody has enjoyed the handful of hiking adventures that a group from work would take throughout the summer. 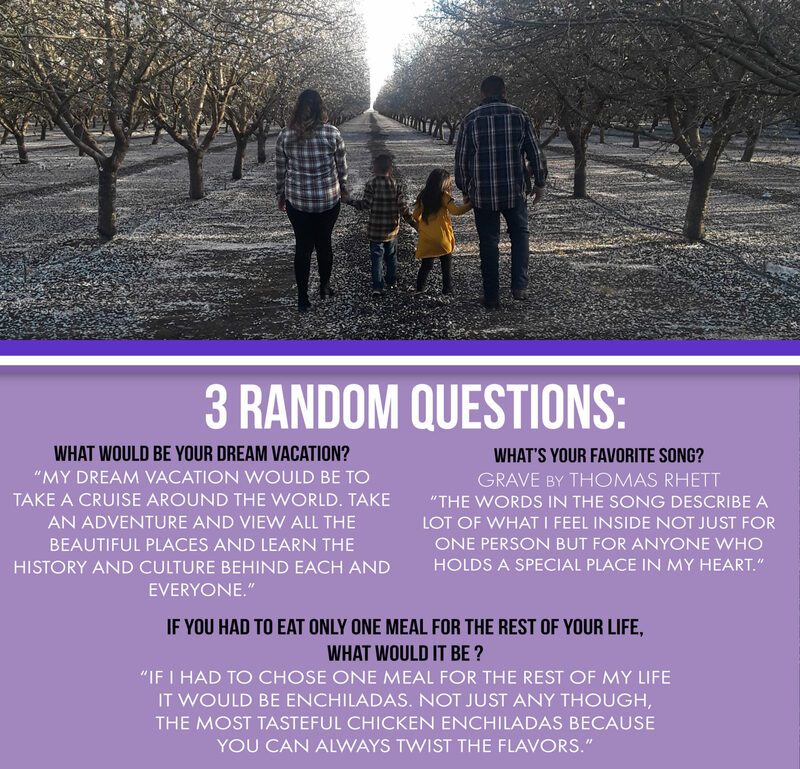 Employee Spotlight Series – Meet Erica! Erica joined our team at the end of 2015 and was quick to show what a valuable asset she would be in our customer service department. She didn’t have a background in technology, but her attitude and willingness to learn was what made us think she’d be a perfect fit for our team. From day one she didn’t disappoint as she quickly began helping customers with troubleshooting computer and connection issues. She recently been promoted to a coordinator position that oversees the daily tasks that our customer service department handles on a daily basis. As our team has continued to grow, we’ve brought on more customer service representatives to help with the workload and Erica has helped oversee their training and has helped set a great example for the team. Its safe to say that we are excited to see what the future holds for Erica here at OACYS. When Erica gets a break from her work schedule, her free time greatly revolves around her family, which includes her two young children Adrian and Evelynn Rose and her husband Salvador. Erica is a great mom and even while not at work, she’s on the go, keeping up with her kid’s school and sports schedules throughout the week. When she does have time to unwind, she enjoys spending time watching movies with her family or painting. Employee Spotlight Series – Meet Daniel! Daniel has been part of the OACYS team since 2012 and has been a vital part in the growth of the company during that time. As a field service technician, Daniel spends the majority of his time out in the field, interacting with customers and installing, maintaining and upgrading their wireless equipment. Daniel’s reliability and dedication to high quality work has put him in the position to oversee, train and be a viable source of information for new technicians during the on-boarding process. Daniel’s attitude and work ethic has allowed the company to entrust him with added responsibilities and he has recently been promoted to part of our tower crew. As part of the tower crew, Daniel has helped maintain and install new equipment at several of our tower sites and take part in weather maintenance to make sure our sites are reliable year round as the weather changes. As OACYS continues to grow, we are excited for Daniel’s future within the company. When Daniel isn’t at work climbing on towers or walking across rooftops, he enjoys spending his downtime playing video games on either his Xbox One or PC. Being the oldest of 5 siblings in his family, he spent a lot of time playing and watching sports, and still enjoys playing with friends and family or watching a game. His favorite sports to play and watch are football and soccer.